The Best Business Coach blogs from thousands of top Business blogs in our index using search and social metrics. Data will be refreshed once a week. Also check out Business Coach Podcasts. Business Coach newsletter is a comprehensive summary of the day's most important blog posts and news articles from the best Business Coach websites on the web, and delivered to your email inbox each morning. To subscribe, simply provide us with your email address. Worldwide About Blog The best executive coaching program in the world. Get top leadership training and earn an executive coaching certificate to boost your career! Facebook fans 43,311. Twitter followers 4,825. New Hope, PA About Blog Small business consulting and coaching for self-employed people. Increase your reach and revenue. Boost clarity about your business and marketing models. Get practical tips, advice, training and techniques. Facebook fans 5,035. Twitter followers 6,363. Eastvale, CA About Blog Alycia Wicker is a business coach for creative entrepreneurs helping them get smarter with their online marketing strategies, and find clients who want what they have. Facebook fans 23,714. Twitter followers 128. Stamford, CT About Blog Learn how to activate your greatness through personal growth and business education, published weekly on our blog. Facebook fans 6,486. Twitter followers 1,732. Sugar Land, TX About Blog We empower business owners and executives achieve things they've never achieved before. On our blog, you can find marketing and business tips that will help your business grow! Facebook fans 303. Twitter followers 2,398. Northcote, Melbourne About Blog I am an Australian Business and Mindset Coach, CEO of The May Collective and Girlboss content creator. Through my coaching business and my YouTube channel, my purpose is to mentor ambitious female entrepreneurs into achieving everything they can possibly dream about. Facebook fans 3,344. Twitter followers 88. Global About Blog ActionCOACH is the world’s number one business coaching and executive coaching firm, with more than 1,000 offices in more than 55 countries. We are dedicated to helping your business grow and succeed! Business blog including articles on small business, coaching, development, team building and so much more. Facebook fans 13,528. Twitter followers 6,897. Lagos, Nigeria About Blog International Business Planning Consultant, Enterprise Developer, Capacity Builder, Public Speaker, Published Author , Serial Entrepreneur. Facebook fans 3,369. Twitter followers 755. Ashland, OR About Blog EMyth Business Coaching will help you increase revenues and profits, add market value and build a business that works for you with a customized plan. Facebook fans 8,430. Twitter followers 12,217. Wisconsin Rapids, WI About Blog Kayla Brissi is a Marketing Strategist, Best-Selling Author, and Inspirational Speaker. She helps service-based women in business and authors to dominate the online space so that they can impact millions by sharing their unique message with the world and create a profitable brand. Facebook fans 9,650. Twitter followers 449. London, England About Blog This Blog features business advice, tools and strategies from one of London's leading business coaches from business coach Shweta Jhajharia. Follow us to keep up with Useful tools, tips and strategies to help your business learn, develop and expand. Facebook fans 4,476. Twitter followers 3,697. Melbourne, Australia About Blog I am a business coach located in Melbourne. I provide both business coaching and team training programs so business owners can discover how to recruit great sales teams (and team members), foster high productivity team work and conduct staff appraisals that motivate. Facebook fans n/a. Twitter followers 10,176. Downtown Handforth, UK About Blog Working with consultants, coaches and other professionals to help them attract and win more clients without the pain and expense of traditional marketing. Get the latest blog posts on how to get more clients for your consulting or coaching business from best-selling author Ian Brodie. Facebook fans 43,222. Twitter followers 104,517. Metro Manila, Philippines About Blog BusinessCoach, Inc. is a provider of quality training programs, which will enhance skills and contribute to career and organizational success. Their mission is to provide a broad array of seminar topics, preferably, to be discussed by experts in the field who had actual practice on the topics. Facebook fans 479,653. Twitter followers 272. About Blog TAB's business tips articles are a powerful resource in achieving our mission to help all leaders of privately-owned businesses achieve success in life. At TAB we support and celebrate our community member's personal and business vision, journey, and achievement through measured accountability, collective wisdom, continuous learning, innovation and leveraging global best practices and tools. Facebook fans 1,470. Twitter followers 7,741. About Blog We are a leader in executive coach certification, executive coaching programs, and leadership and organizational development solutions. About Blog Business coaching born after 1980, also from Y generations. They have experience, are professionals, young people. Facebook fans 4,142. Twitter followers n/a. About Blog Awakening the genius within, one conversation at a time. Helping small businesses, entrepreneurs and individuals visualize and execute at their highest level of potential. One-on-one, online coaching can help your personal or business life tremendously. Business coach, empowering others to reach their goals and ultimate satisfaction. Facebook fans 164. Twitter followers n/a. Torquay About Blog Prestige Business Coaching Blog sharing top business tips and advice to inspire entrepreneurs to boost their business success. Facebook fans 35. Twitter followers 8,718. Global About Blog Founded in 1994 in Melbourne, Australia by Dr Chris Mason, Mindshop has grown to become one of the world’s leading providers of support solutions to business advisors and leaders. Mindshop’s goal is to simplify the complex in business and assist people achieve success. Facebook fans n/a. Twitter followers 852. About Blog Laugh and learn from the best business coach out there in these hilarious yet practical business podcasts that will give you specific steps to growing your business. Facebook fans 8,089. Twitter followers 7,518. United States About Blog Our small business coaches help you increase revenues and profits, boost productivity, save time, hire and train great employees, recession proof your business, plan your exit, and have fun in business again. Facebook fans 22,272. Twitter followers 5,961. San Pedro, CA About Blog As a small business coach & strategist, Synnovatia provides innovative business growth and performance strategies to help entrepreneurs and small business owners challenge the status quo, nurture the maverick within, align actions with goals to take big leaps forward, and quickly achieve measurable results. Facebook fans 479. Twitter followers 1,945. New Jersey About Blog ServiceKey's business mentoring blog has the latest coaching tips and news from Mike Agugliaro. Read our blog to start unlocking the secrets of business mastery. Facebook fans 11,900. Twitter followers 619. Bengaluru, India About Blog Nishant Punia is a digital marketing, web designer for coaches. He will also make one get qualified leads each month. Facebook fans n/a. Twitter followers 1,201. Dublin About Blog Business coaching from the world's #1 business consulting firm: ActionCOACH. Business Coaching Ireland is in the business of helping others. We help business owners of small to medium sized enterprises. We aim to help Irish business owners to grow their business and achieve their dreams and goals through business re-education. Facebook fans 1,419. Twitter followers 2,070. Facebook fans n/a. Twitter followers 5,568. Facebook fans 1,070. Twitter followers 2,337. Lake Oswego, OR About Blog Executive Coaching, Business Coaching, and Life Coaching from a dedicated team of coaches and support staff, all focused on helping our clients enjoy more purposeful businesses and lives. Facebook fans 2,790. Twitter followers 3,908. About Blog Christine Parma helps ambitious women entrepreneurs build wildly successful businesses they love and lives they love even more. Combining smart business strategies and powerful mindset work, she helps you successfully monetize your passion, book more of your dream clients and leverage systems so you can get paid what you're worth to do the work you love without working 24/7 or sacrificing what matters most to you. Facebook fans 865. Twitter followers 999. Barrie, Ontario About Blog Lisa, I help online business owners market and sell themselves better using proven tactics and strategies that attract more leads, more customers and makes them more money. She provides powerful, proven and simple marketing strategies for small business to help yours stand out on the overcrowded, noisy web. Facebook fans 922. Twitter followers 225. Denver, Colorado About Blog Tommi Wolfe, CEO of Top 6 Business Coach, runs an international network of passionate, talented entrepreneurial Top 6 Coaches. She specializes in providing savvy support to the world's smartest solo-preneurs. Facebook fans 12,746. Twitter followers 1,913. Las Vegas, NV About Blog Brad Sugars is an entrepreneur, business coach, educator, seminar presenter and business expert. Brad is author of the Instant Success series and CEO of ActionCOACH Business Coaching. Also a Dad, a pretty average golfer and a lover of great times. Facebook fans 112,840. Twitter followers 10,726. About Blog Lizzie Moult works with inspiring women to create online businesses that have an engaged audience and ... with online marketing. Facebook fans 160. Twitter followers n/a. Parker, CO USA About Blog Sheri Kaye Hoff Business and Life Strategist, coach, near death survivor, and author offering business growth, leadership, mindset and personal development for coaches, consultants, business owners, healers, and professionals so they can make a bigger impact, make more money, do more of what they love and relax into their success. Facebook fans 3,703. Twitter followers 32,882. Philadelphia, PA About Blog Yoon Cannon of Paramount Business Coach, LLC has helped hundreds of small business owners and Entrepreneurs to achieve dramatic results in boosting your sales, productivity and profits. Yoon offers a fresh, outside perspective from a seasoned entrepreneur. Her depth of expertise delivers the critical difference in helping you grow your own business through coaching, training and strategy. Facebook fans 1,563. Twitter followers 754. London, United Kingdom About Blog Read the popular LBC Business Blog - in depth articles written by London's top business coaches and mentors, plus guest authors. Subscribe for updates. Facebook fans 478. Twitter followers 1,109. Greater Philadelphia Area About Blog Terri's programs ranges from business coaching and business consulting, business training seminars for business owners, business coaching training programs to develop coaching skills, creating professional training courses for others in the field of business coaching and providing additional products and services to companies seeking support to become Heartrepreneur based businesses. Facebook fans n/a. Twitter followers 15. Gulf Coast About Blog Passionate about helping entrepreneurs like you create the business and lifestyle they truly want. Sue Painter, the Confident Marketer, marketing & business coach for women. Facebook fans 1,054. Twitter followers 20,196. About Blog We are the leading business coaching firm in Melbourne, offering mentoring and coaching for business owners. People often ask which industries we specialise in; do we provide business coaching for manufacturing, or are we experts in mentoring businesses in the trades, such as electrical, plumbing and landscaping? Well, yes. And retail, and construction, and IT, and allied health. Sydney, Australia About Blog The Business Mastery Blog is aimed at the Small to Medium Business Entrepreneur who wants to grow his or her brick and mortar business leveraging Exponential Marketing Strategies to get unknown suspects to become qualified prospects who then become willing, paying clients who in turn refer others automatically and systematically. Get Business Coaching tips to help you grow your business. Detroit About Blog Lara Galloway is an author, speaker, business coach and host of the Mom Biz Solutions Show podcast. Her passion is helping entrepreneurs create and run businesses that honor their priorities and make them successful and happy. Facebook fans 1,810. Twitter followers 26,232. London & Algarve About Blog Read my latest blog with actionable steps to help you grow your business. Get savvy sales marketing and mindset strategies for success by Jo James AmberLife. Facebook fans 311. Twitter followers 3,039. Canada About Blog The Worldwide Association of Business Coaches (WABC) is the membership association of choice for business coaches, their trainers and clients. Facebook fans n/a. Twitter followers 3,439. Surrey Hampshire borders UK About Blog Karen Skidmore is a Business Coach & Marketing Mentor. Proven marketing systems, real life business models and profitable revenue streams for coaches, consultants and experts. Her mission is to help you play a bigger game in your business without having to work harder. Facebook fans 1,240. Twitter followers 2,160. Gold Coast About Blog StartUp Creative coaching, entrepreneur magazine, professional business development and mentoring program for young people. Hear from innovative and creative entrepreneurs to give you the best chance to startup your creative business! Facebook fans 7,127. Twitter followers 1,611. About Blog Sarah is an E-Commerce Business Strategist for passionate driven entrepreneurs who are looking to grow an online business which generates profit increased sales. She help entrepreneurs leverage their strengths in a way that allows them to build a business they love that creates a profitable income. Her mission is to help create an online business that is profitable and aligned with passion. Facebook fans 1,548. Twitter followers n/a. Perth, Western Australia About Blog One Small Step Business Coaching specializes in creating simple yet dynamic business plans and business strategies for small businesses and start-ups, through one-on-one coaching, e-courses, workshops and presenting at industry events. Facebook fans 820. Twitter followers n/a. Vancouver, BC Canada About Blog Coaching programs for ambitious people in business. Where asking you better questions gets you better results! Facebook fans 361. Twitter followers 4,456. USA About Blog The Growth Coach offers extraordinary business coaching franchise opportunities serving business owners. This blog helps business owners take their business to the next level using their existing resources. Facebook fans 932. Twitter followers 739. Chelmsford, Essex About Blog Fluid Business Coaching is a blog where we publish content about business ownership, rapid growth, family business, ready for sale and team communication. Helping business owners and their teams implement effective growth strategies to achieve more profit, less waste, more efficient processes and ultimately a better work/life balance for the owner. Facebook fans 324. Twitter followers 1,925. Essex, UK About Blog Stuart Allan is one of the leading Business Coaches in the south east. He is passionate about the virtues of business coaching and help businesses (or more importantly business owners and entrepreneurs) achieve success. Facebook fans 45. Twitter followers 169. New Jersey About Blog The business coaching blog is the online home of Personal Business Coach Carrie Greene; sharing insights for entrepreneurs & business owners seeking success. Facebook fans 652. Twitter followers 2,126. Ashland, Oregon About Blog Loren Fogelman, business coach and founder of Business Success Solution, helps entrepreneurs grow a profitable business that supports their lifestyle. Facebook fans 1,663. Twitter followers 11,109. Colchester, Essex About Blog Subscribe us to keep up with insightful articles from Sam that include business tips and learn how to help your business grow with our unique Business Coaching formula. Facebook fans 702. Twitter followers 361. Sydney, Australia About Blog The Fortune Institute Best Business Coaching Sydney program delivers practical, street smart lessons on how you create stunningly profitable business. Facebook fans 15,671. Twitter followers 1,555. Brownsburg, Indiana About Blog Jack Klemeyer founded Grow Your Business Coaching because he is passionate about helping business professionals grow - in business and as people. He help companies to grow their business with team development in both leadership team and sales team. Facebook fans 768. Twitter followers 3,741. Langley, BC About Blog A Professional Business Coaching organization that helps business owners get organized and profitable using systems strategies and tools. Facebook fans n/a. Twitter followers 294. Minneapolis, MN About Blog Julie Keyes is an esteemed Minneapolis Business Coach who is helping business owners create solid working plans for their companies and personal growth. Facebook fans 375. Twitter followers 73. Vancouver BC About Blog Rob Carol is an executive business coach serving. Rob’s goal is to help you spend less time working in your business and more time working on your business. He will work together with you to redefine your dreams and vision, and then put into place the necessary systems, strategies, and tactics that will allow you to turn your business venture into a thriving, successful one. Facebook fans 13. Twitter followers 2,477. About Blog Pamela's mission is to empower ambitious, action-oriented Generation X entrepreneurs how to build or scale a successful & sustainable business. First, she pinpoints the vision, purpose, and core values. Then she looks at roadblocks like analysis paralysis, confusion, overwhelm, self-doubt, and anxiety to establish the next steps, targets actionable steps and proposes a clearly defined path for you take action to reach your goals. Facebook fans 403. Twitter followers 156. Dallas, Texas About Blog The Your Biz RULES blog provides resources for small business owners and entrepreneurs on how to get more lead, close more clients, have work life balance, be inspired and motivated in their business so that they can go their business quickly and easily. Facebook fans 615. Twitter followers 3,396. Charlotte, NC About Blog Certified business coaching company that assists individuals and organizations in selecting, developing and maximizing the strengths of their greatest resource: their people. Their mission is to help senior executives, entrepreneurs, and organizations achieve greater results as professionals and greater growth as individuals. Facebook fans 247. Twitter followers 15. Montreal About Blog I am passionate about helping professionals and entrepreneurs create lives and businesses they truly love waking up to! As a life & business coach, I guide people on how to transition from their day job, to creating a biz they are orgasmically joyful about. Facebook fans 17,921. Twitter followers 6,911. Bristol, England About Blog This is a Business Coaching Blog from Bristol for business people who want to grow their business or make strategic changes with confidence. Facebook fans n/a. Twitter followers 1,073. Facebook fans n/a. Twitter followers 12,498. PH About Blog Improve business leadership with Joey Gurango, a business technology coach in the Philippines with over 30 years of experience. Book Joey as leadership speaker. Read blog posts from business technology coach Joey Gurango. Improve your business leadership with the help of technology. Facebook fans 258. Twitter followers 109. Perth, Western Australia About Blog Small Business Coaching will positively grow your business leading to more leads & profits. More leads, more clients, growing your business can feel too hard. Read a wealth of small business growth articles from Perth's best Small Business Coach. Facebook fans 1,673. Twitter followers 566. Perth, Western Australia About Blog Josh Horneman is a business and professional coach based in Perth, Western Australia. He has been a strong believer in the value of effective communication his whole life and recognises it is critical for driving business and personal success. Facebook fans 185. Twitter followers 390. Toronto About Blog Business Coach Karl Kremer is passionate about helping his clients get everything they deserve out of their business. He works with his Clients throughout the Greater Toronto Area to help them forge their business into a tool that they can use to improve the quality of their lives and the lives of those around them. About Blog With expert solutions, from accountancy to tax planning, corporate finance and financial growth advice, we aim for perfection by creating timeless unrivalled value and reliability, with the individuality and exclusiveness of a personal advisor, creating a unique legacy to secure your future. Samera is no ordinary accountancy firm, but a firm dedicated to the Healthcare Industry, securing financial freedom for your future. Facebook fans 1,614. Twitter followers 456. Dubai About Blog Business coaching Company in Dubai is available which helps you to achieve guaranteed success through powerful strategies & business planning. Read the latest blogs on customer service, entrepreneur mindset, finance, Leadership and management etc. Facebook fans 223. Twitter followers 5,012. Indiana, USA About Blog Read Missy Shopshire Business Coaching blog for helpful information on finding the clarity to achieve your business and life goals. Facebook fans 142. Twitter followers 595. Tarrytown, NY About Blog Kathy D’Agostino is the founder of Win at Business Coaching. Kathy coaches and consults with executives and leaders, enabling them to define and design the ideal culture for their employees and customers. With a strong focus on personal accountability, proven goal-setting strategies and decision-making processes that align with core values, Kathy guides her clients to greater success. Facebook fans 70. Twitter followers 1,253. Sydney, Australia About Blog Audere provide business coaching for advice professionals, and specialise in improving business performance & helping find opportunities to innovate. Facebook fans 223. Twitter followers 530. Ontario, Canada About Blog Small business marketing coach and marketing mastermind program. Get helpful strategies to grow your small business and increase your marketing efficiency. Facebook fans 288. Twitter followers 48. Fredericksburg, Virginia About Blog A.D.S. Virginia Business Coach Alayna Stiffler coaches & mentors business entrepreneurs to deliver proven results to help them succeed in their business field. Facebook fans 710. Twitter followers 362. Madison WI About Blog My name is James Kademan and I am the business coach for Draw In Customers Business Coaching. We would love to offer your business some simple tools to allow you to make better decisions faster. This will allow your business to grow faster and have you work less. Facebook fans 261. Twitter followers 406. Brighton, England About Blog Business Coaching Sussex provides business coaching and consultancy to entrepreneurs working in small business or social enterprise. They combine tried and tested coaching tools with pragmatic business/strategic planning enabling entrepreneurs to achieve success. Facebook fans 157. Twitter followers 806. Sydney, Australia About Blog Brook McCarthy is a Sydney business coach, trainer and speaker who specialises in digital marketing and communications for creative service professionals. Facebook fans 2,976. Twitter followers 1,671. New Zealand About Blog The principal of Business Changing, Zac de Silva, has had a lot of experience in business as both a CEO, General Manager and CFO. He is passionate about helping businesses achieve their full potential. They coach and advise in a range of industries, and can assist clients in virtually any area. About Blog The Association of Corporate Executive Coaches is a private international membership based association for mastery level Corporate Executive Coaches who coach the top tier of 90% of organizations listed as F1000 companies. Our global mission is to recognize master-level executive coaches and support their work through forums for continuous learning, collaboration and community. Facebook fans 603. Twitter followers 1,818. Auckland, New Zealand About Blog SQ Leadership by Jasbindar Singh. She is a business psychologist, leadership coach, author & speaker. Facebook fans 299. Twitter followers 1,042. Ledgewood, NJ About Blog Business topics discussed in our blog that is focused on improving business results through individual and group business coaching. Facebook fans 554. Twitter followers n/a. Vancouver, Canada Area About Blog Karl Bryan is an Internationally recognized authority in the area of Business Building and Strategic Sales & Marketing. He has been afforded the pleasure to interview, collaborate, discuss and brainstorm with thousands of successful business owners as well as pick the brains of and leverage some of the cleverest marketing minds on the planet. Watch videos on Youtube. Facebook fans n/a. Twitter followers 27,003. Banbury About Blog I am the top business coach in the UK. I have successfully mentored and coached many people to build lucrative businesses within our company, many boasting six-figure incomes. My goals are to help my teams build a residual income and gain financial independence thus giving them a flexible lifestyle. I specialise in personal development, confidence building and stepping outside of the comfort zone. Facebook fans 16,951. Twitter followers 6,865. Burwood East, Victoria About Blog Action Victoria business coach will closely advise and guide business owners through major growth or change strategies, investments and mergers, restructuring or enabling any part of the business plan. Watch videos on Youtube. Facebook fans 518. Twitter followers 1,459. Sydney, Australia About Blog At Australia Business Coaching (ABC) our proven results and systems have helped businesses achieve success. We offer strategic, high level, supportive guidance. Facebook fans 5,851. Twitter followers 485. Leighton Buzzard, England About Blog Bekka Prideaux is an experienced Business Coach & founder of Turquoise Thyme Coaching. Her mission is to bring you the clarity you need to help you and your business reach it's potential – and to have some fun along the way. Facebook fans 55. Twitter followers 491. Dallas/Fort Worth Area About Blog Anthony John Amyx is an international Personal Brand and Business Growth Strategist, who teaches business owners and entrepreneurs how to build and grow an online business using social media and other innovate marketing strategies. Facebook fans n/a. Twitter followers 27,622. About Blog View our blog section for information related to business coaching & public speaking. Facebook fans 537. Twitter followers n/a. Pennsylvania About Blog FocalPoint Business Coaching of Pennsylvania works with business owners to implement a customized, personalized MPPT (Model, Methodology, Process, People and Technology) solution, increasing revenue, profits, enhancing their teams, and providing more time, so business owners can work ON their business not IN their business. Facebook fans 319. Twitter followers 70. Dublin, Ireland About Blog Andy Turner Vanguard Business Coaching Ltd is a Sales & Marketing Strategist. He specialises in small business turnarounds. Andy Turner teaches a revolutionary new methodology that will allow you to generate all the leads your businesses can handle, position you as the dominant player in your industry and give you the unprecedented ability to out-market and out-sell your competition. Facebook fans 20,561. Twitter followers n/a. Chicago, IL About Blog I'm an EMyth Certified business coach who helps business owners get more control over their business and their life. I work with owners to make changes so the business supports them in living the life they want to live. I also help them strengthen their leadership skills so the business can grow to its full potential. Facebook fans 682. Twitter followers 8. Santa Cruz, California About Blog I’m Kathleen and I have been in your shoes as a stressed out property manager running my own business. I'm here to share with you what I have learned from my experience and use that to help you grow your property management business. I offer business coaching and consulting services to fellow property managers in the United States. Facebook fans 112. Twitter followers 23. Pinole, CA About Blog At FocalPoint of Northern California, our business coaching style brings a hands-on approach to helping clients clearly define and achieve their objectives. We offer a vast toolkit of solutions that can be customized to meet your needs. Come explore our site to learn how our trusted advisors partner with you to achieve business and personal success! We are the aspirin for your business headache. Facebook fans n/a. Twitter followers 495. Pittsburgh, PA About Blog ThistleSea Business Development is a business coaching, strategy development and training company based in the Pittsburgh area. It is the only service organization in the area comprised of a team of Licensed Professional Business Coaches and is also a certified Guerrilla Marketing Firm. They provides services that help businesses increase revenue, reduce expenses and improve their performance. Facebook fans 217. Twitter followers 103. Woking, Surrey About Blog Nigel Azzopardi is an experienced Business & Performance Coach who assists people in attaining the lives they have always dreamed of. He help business owners who are spending too much time at work to clarify and prioritise their focus so that they can make more money and work a lot less. Facebook fans 5,130. Twitter followers n/a. France About Blog Three Hats offers executive and business coaching, speaking engagements and training, as well as onsite business coaching for small to medium sized businesses. Rick Snyder Business Coaching LLC also offers mentoring for business coaches to continue their professional development. Facebook fans n/a. Twitter followers 330. Prescott, AZ About Blog Small Business Marketing Coaching Blog with Cadu Medina. His mission is to help small businesses succeed by helping them become better, smarter marketers. Get simple efficient and effective strategies for getting more customers and growing your business. Facebook fans n/a. Twitter followers 41. Halsham, Hull, UK About Blog iBusiness Coach believes in accelerating the results of businesses around the globe. The business world is changing at a breakneck pace. iBusiness Coach specialises in working with family run private companies above £10 million revenue. Our team is committed to supporting you, your team and your organisation achieve results faster. Facebook fans 630. Twitter followers 793. Lenexa, KS About Blog Guy Gruenberg and Ron Roberts, co-founders of the Contractor's Business Coach coaching service and the United States Commercial Trade Contractors Association. They share the best practices for running a construction business. Dallas, TX About Blog I help women birth their businesses God's way using faith as our foundation and grace as our standard. We help women profit with purpose. Facebook fans 480. Twitter followers 9,847. Yorkshire, England About Blog Pam Featherstone is a whirlwind of motivational energy and inspires business owners and their teams to achieve high performance in their lives as well as in their businesses. Pam is a highly experienced business coach and works with multi-million pound, privately owned companies in her Elite 1:1 portfolio. Manchester, England About Blog Delphinium Business Coaching offers business coaching, mentoring, training and group workshops. This blog will share our thoughts on the next big ideas as well as hints and tips that will help shape your business. Facebook fans 439. Twitter followers 1,721. Fort Collins, Colorado, USA About Blog Small Fish Business Coach for small businesses reaching for amazing goals! Facebook fans 1,389. Twitter followers 238. Newtown, Vic About Blog Geelong's Number One Business Coach can help you increase your income by 50% in under 12 months. Find out more about how you can grow your business. His mission is to re-educate, motivate and inspire business owners to improve their business and their personal lives. Facebook fans 673. Twitter followers 514. Reading, UK About Blog Our business coaching, mentoring and consulting, combined with our unique business systemisation approach, can help you change your business for ever - because we can change the way you think about your business for ever. Facebook fans 71. Twitter followers 754. Armagh, N.Ireland About Blog Georgina Walsh is providing an energising mix of coaching, branding and psychology that deliver smart strategies for sparkling success. Facebook fans 334. Twitter followers 322. Lethbridge, Alberta About Blog Business Coaching to small business owners. Our customized coaching helps you grow your business. Read our blog for insight to help give you a push. Facebook fans 532. Twitter followers 147. Mumbai, India About Blog Maple Dreams is India’s pioneer Business coaching company focused on transforming the SME segment in India into world leaders. We specialize in personal entrepreneurial coaching, training and consulting for business growth. Facebook fans 723. Twitter followers 292. San Francisco, California About Blog Emotional Intelligence and Mindful Leadership Workplace Expert - Dr. Maynard Brusman Consulting Psychologist & Executive Coach. His mission is to help leaders assess, select, coach and retain emotionally intelligent people. Facebook fans n/a. Twitter followers 427. Calabasas, California About Blog FocalPoint coaches teach business owners how to navigate the road to success from hiring and training to day-to-day operational issues to exit strategy. Facebook fans 250. Twitter followers 145. Greater New York, New Jersey About Blog We are the premier Business Coaching organization in North America with more than 200 coaches who have served more than 5,000 clients over the last 15 years, helping them grow, improve sales and profitability, formulate and execute strategy, and generally achieve a higher satisfaction with their business performance. Facebook fans 67. Twitter followers 98. Calgary, Alberta About Blog ProVision Coaching Network, founded by Laura Bechard in Calgary, AB, serves businesses, organizations and individuals with business coaching, services & consulting. Facebook fans 61. Twitter followers 17. Facebook fans 27. Twitter followers 3. Denmark About Blog Stephen P. is driven by Stephen Parker in collaboration with a network of professional business coaches. He provides professional business coaching and team facilitation. About Blog An award-winning business coach, bestselling author, UK Top 50 Growth Advisors and Coach of The Year Finalist, Alan S Adams has worked with a wide variety of sectors however, specialises in working with medical, cosmetic, aesthetic and dental clinics as well as creative businesses such as graphic design, PR, digital, and web design agencies across the UK to help them grow their profits and develop the business they've always dreamed of. Facebook fans n/a. Twitter followers 11,363. About - Fluid Business Coaching is our business coaching blog where we publish content about business ownership, rapid growth, family business, ready for sale and team communication. Helping business owners and their teams implement effective growth strategies to achieve more profit, less waste, more efficient processes and ultimately a better work/life balance for the owner. About - Free business advice, tools and strategies from one of London's leading business coaches from business coach Shweta Jhajharia. About - Chris Kenber’s Executive and Business Coaching in Bristol. For business people who want to grow their business or make strategic changes with confidence. About - Life and business coaching specialising in strategic intervention coaching, NLP and hypnosis. Delivers coaching workshops across the South East with online coaching programmes. About - Stuart Allan is one of the leading Business Coaches in the south east. He is passionate about the virtues of business coaching and help businesses (or more importantly business owners and entrepreneurs) achieve. CONGRATULATIONS to every blogger that has made this Top Business Coach Blogs list! 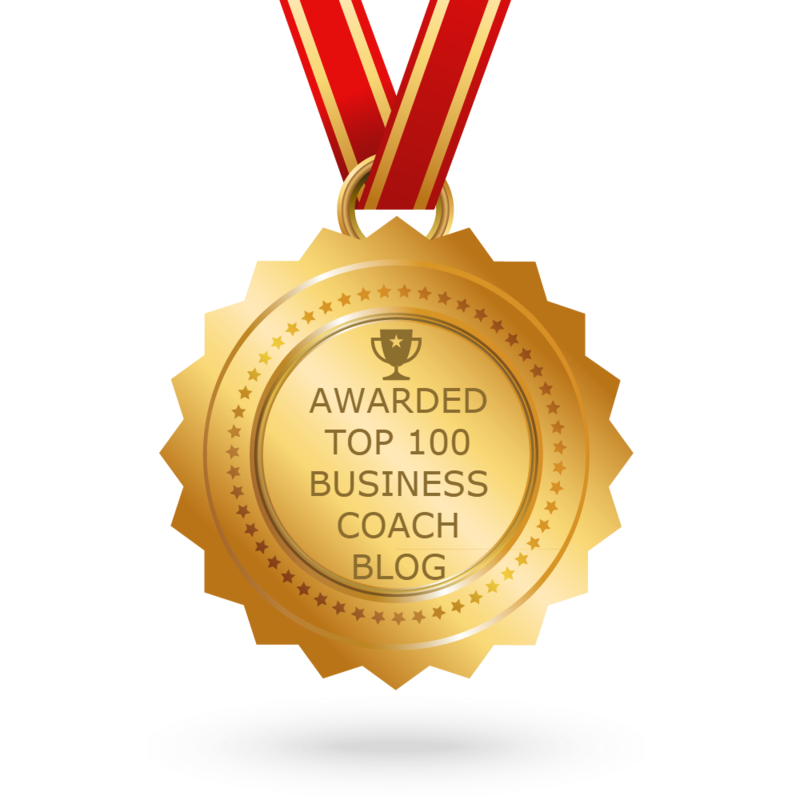 This is the most comprehensive list of best Business Coach blogs on the internet and I’m honoured to have you as part of this! I personally give you a high-five and want to thank you for your contribution to this world.